Dipping into a healthy snack just got a whole lot easier with this scrumptious assortment of hot and cold spreads perfect for any party. Katie's lower-fat version uses reduced-fat Greek yogurt and cream cheese for a creamy result that does this heirloom dish justice. Clocking in at under 100 calories is a breeze with this flavorful dip. Break out the tortilla chips or some fresh veggies to enjoy with this great appetizer. 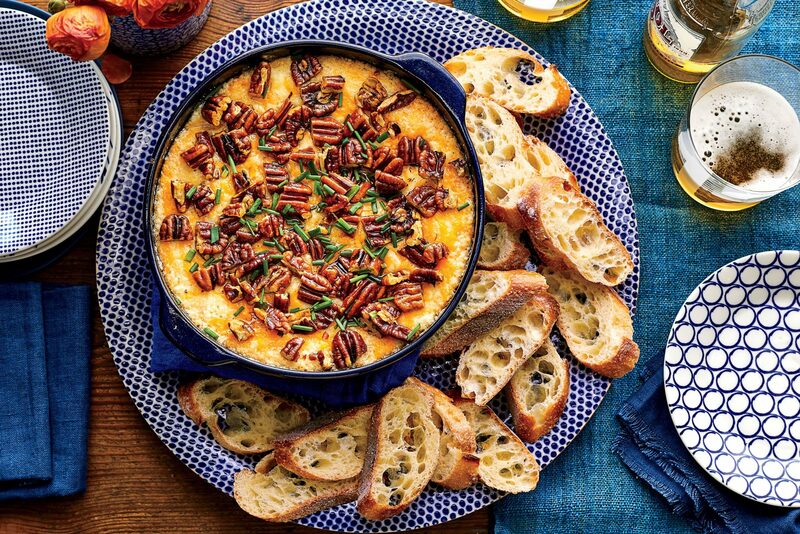 Take the indulgent flavor of caramelized onions one step further by whipping them into a gooey cream cheese-based dip served straight from a warm oven. Leftovers? Use them for panini or roasted meat sandwiches. Forget spinach dips that are laden with fat. This dreamy version starts with a base of fat-free Greek yogurt and then builds in rich Greek-style flavor with fresh sauteed spinach, feta cheese, garlic, dill, scallions and lemon. Frozen lima beans form the base of this simple hummus-style dip made quickly in the blender with toasted sesame seeds, lemon juice, garlic and extra virgin olive oil. The light green color is a refreshing change of pace for holiday parties and potlucks. Canned white beans morph into a restaurant-style dip laced with garlic, olive oil, lemon zest and fresh oregano. Better make a double batch; company will scrape the bowl clean on this one. A popular Middle Eastern spread undergoes a skinny makeover by building flavor with lots of roasted eggplant and small amounts of sesame seed paste (tahini), toasted pine nuts, cumin seeds, lemon juice and garlic. Perfect for those last-minute gatherings, this easy spread combines black bean soup mix with sour cream, cumin, chipotle chile powder and a splash of olive oil. Mixed right in the serving bowl, clean-up is lightning fast. Fresh artichoke leaves make the best earth-friendly disposable utensils: Their shape is perfect for scooping up dip, and after you nibble the tasty meat from the base of the leaf, you can toss it out guilt-free. Cook the artichokes and kale up to two days ahead--it will be a time-saver during the last-minute rush of ­putting on a party. Combine fresh chopped mango with fresh or jarred fruit salsa for a fruity take on this favorite Mexican appetizer. This is a great go-to party dip for adults and kids. 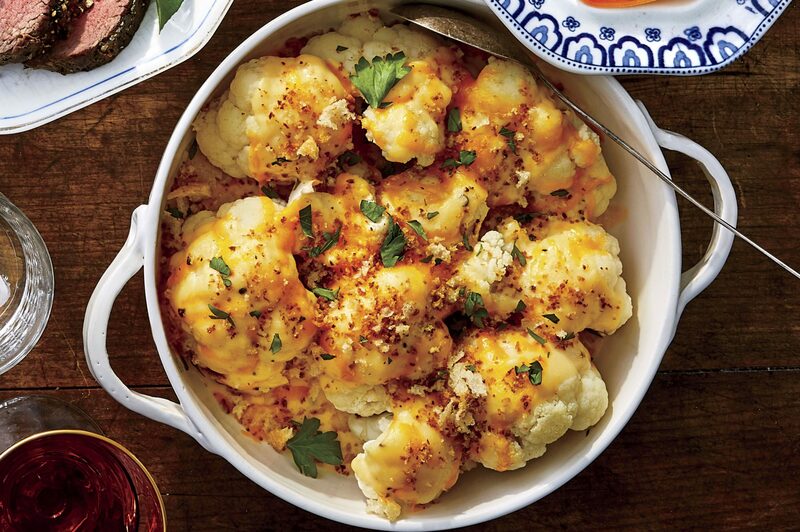 Serve it with Baked Pita Chips or fresh veggies like jicama or celery. You can even spread it on a chicken sandwich. Onion dip gets a redo in this updated version of Carmelized Onion Dip. Onions are slow-cooked to bring out their natural sweet flavor, and Greek yogurt is added in place of sour cream for a healthier twist. This veggie-loaded Roasted Eggplant Dip is low in calories, but tastes like an indulgence. Spread any leftover dip on a sandwich, top pasta with it, or serve alongside grilled chicken as a healthy sauce. A breeze to make, this elegant spread of smoked salmon, light cream cheese, dill and lemon juice comes together quickly in the food processor. Keep the ingredients on hand for last minute parties or potlucks. For those special occasions when you need to impress, splurge on lump crab meat and whip up this light spread that fashions its creamy texture from a combination of fat free cottage cheese and light cream cheese. Guaranteed to be the “hit of the party,” this oven-baked favorite combines cream cheese, light mayonnaise, and artichoke hearts with Parmesan cheese. Be sure to use frozen artichoke hearts for the best flavor; canned ones just don’t compare. Cheesy and creamy, this dip only tastes unhealthy! Mayonnaise, Parmesan, sour cream, and garlic combine to create a crowd-pleasing veggie dip.